80-120 people every month. People from all walks of life. Some brand new just curious about getting started, other seasoned professionals, others are vendors who offer discounted supplies and services to our members. Check out the Partners page for more details. They say we become like the people we associate with. Do you want to be a successful RE Investor? Then associate with us! This is a fun meeting, it's not stuffy. It's the best place in the Capital Region to network if you are in any field related to real estate. The group consists of people that flip houses, builders, people that buy and hold, real estate attorneys, mortgage brokers, bankers, insurance companies, inspectors, suppliers, vendors, hard money lenders, contractors, electricians, plumbers, real estate agents, etc. It's also a great place to come and find wholesale deals on houses. Not to mention that Members get HUGE discounts at Home Depot and other vendors! Come have dinner, have a drink, and get to know us. It might be the meeting that changes the direction of your life and/or business! Action Investors Network is committed to providing a forum for real estate investors in the Capital District to network and grow their businesses. Through the sharing of knowledge and opportunities, the group serves to improve the lives and businesses of its members based on cooperation, good will, and integrity. 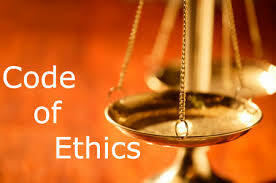 • No member shall lie, cheat, steal, or use any dishonest or unethical business practices (i.e. ; False advertising) with another member. • No member shall harass in any way, use inappropriate language, or use ethnic or racial slurs with any member or they will be removed immediately from the meeting asked not to return. • No one shall use the meeting, group website, group name or logo to advertise anything without written permission from Glenn Schworm or Amber Higgins. • Be sure to do your due diligence for “fit” with potential partners. Glenn and Amber began their real estate career in 2007. Since that time, they have done over 300 real estate deals in the Capital Region. They took over ownership of AIN in 2014, and plan to grow it to help local businesses thrive and support one another. Mary Ellen is the proverbial Jill of All Trades. She is a Realtor, Broker, Landlord, Rehabber, and Investor of real estate. 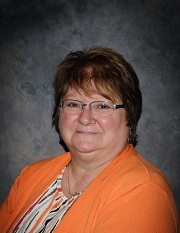 After 35 years in the commercial insurance industry, she established Pro Realty Connection LLC. Having grown up in the Capital District, she has an extensive knowledge of the area. She owns rental properties and completed her first rehab in the early 80's. She has also completed several small subdivisions. A creative thinker and researcher, she is always willing to share her wealth of experience with AIN members. Helene's background is in administrative functions, forms design, and policy and procedure preparation. She is knowledgeable in Word, Excel, and Quickbooks. 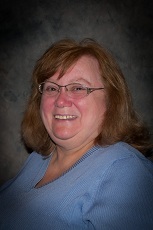 She is the treasurer for Thunder Road Seniors Citizens’ Club and the Monday Mixers Bowling League. She teaches computer literacy to Seniors and is part of the Education Committee that is developing more classes for Seniors. She has 32 grandchildren and 8+ great grandchildren. Chuck is a native of Albany, New York, with over 20 years of experience in handling residential and commercial real estate transactions, as well as investing as a principle in real estate deals in the Capital District. A 1986 graduate of Colgate University, he received his law degree from Albany Law School in 1989.